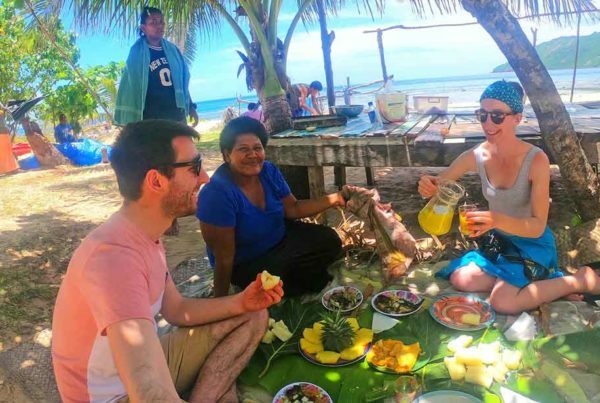 If you know anything about Fiji then you’ll know about the diverse marine life living within the country’s crystal clear waters and soft coral reefs. Part of that biodiversity is sharks, providing snorkellers and divers and exciting opportunity to observe these majestic creatures in their natural habitat! 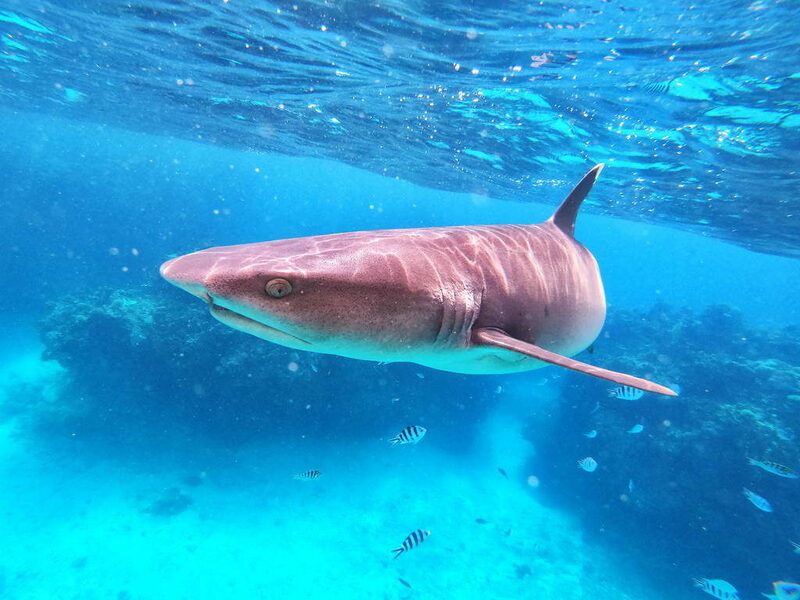 Seeing the smaller reef sharks (by small, we mean, they’re the same size as a grown adult person) is as easy as hopping on a shark snorkelling tour, while larger shark species like Bull Sharks can only be seen through scuba diving. 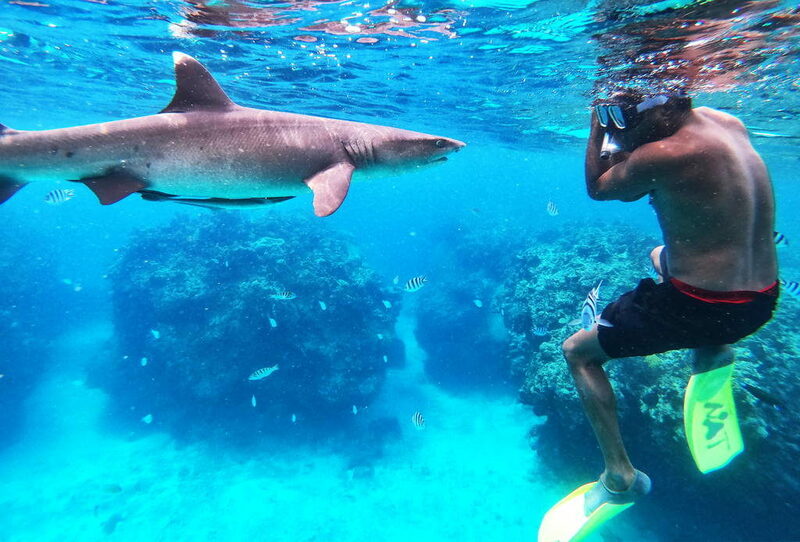 Swimming with sharks in Fiji is perfectly safe when going with experienced guides and tours. 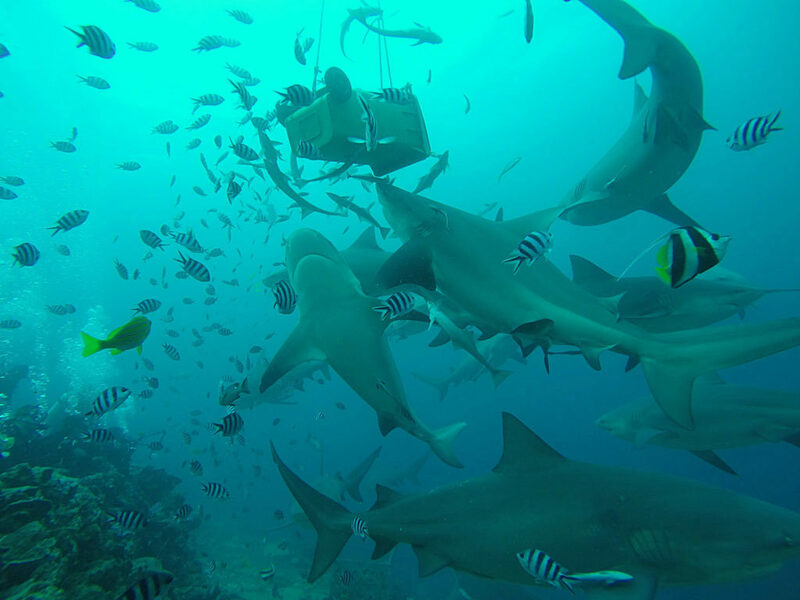 Doing a dive with a shark diving operators helps boost the conservation of Fiji’s sharks through shark feeding (don’t worry, tourists are not the food) and raising money for the local villages so they don’t have to solely rely on fishing to eat. For more amazing things to do in Fiji, see our 10 Best Adrenaline Activities in Fiji. Dubbed as the “Adventure Capital” of Fiji, it’s no surprise that the Pacific Harbour has shark diving on its menu of adrenaline activities. 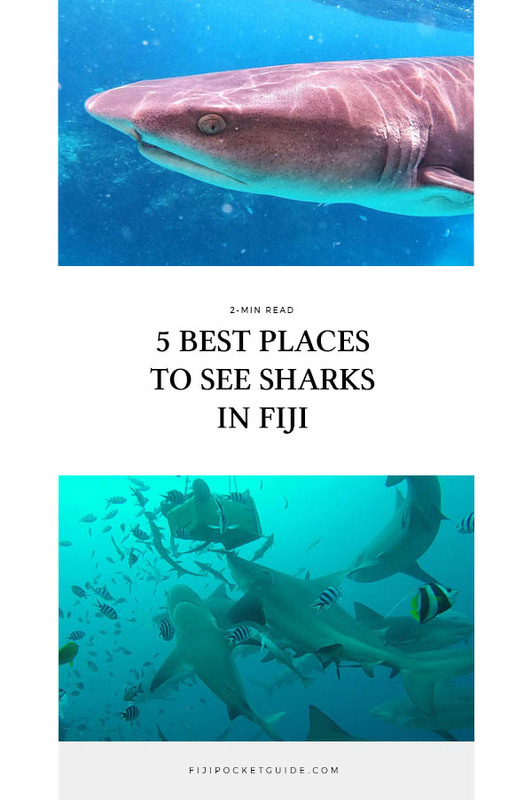 Located on the southern coast of Viti Levu, Fiji’s main island, and just an hour’s drive from Suva, the Pacific Harbour is one of the best places in Fiji to dive with sharks. There are a few activity providers taking keen divers into the Shark Reef Marine Reserve, which is a protected area where sharks can thrive in their natural habitat. There are up to eight different species of shark to be seen in this one area: Blacktip Reef Sharks, Whitetip Reef Sharks, Grey Reef Sharks, Silvertip Sharks, Tawny Nurse Sharks, Sicklefin Lemon Sharks, Bull Sharks and Tiger Sharks. 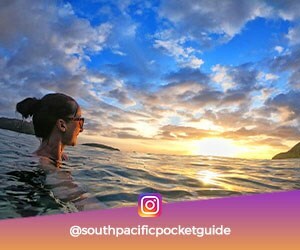 Check out more things to do in the area in our 12 Sensational Things to Do in the Pacific Harbour & Beqa. The Moyia Reef, just a short boat ride from Kuata Island, is home to a spectacular array of reef sharks, as well as larger Bull Sharks which can only be seen through scuba diving. Resorts like Barefoot Kuata Island Resort can take you either diving or snorkelling with sharks, while homestays in the village on Waya Lailai (Wayasewa) Island also run snorkelling trips (these can be booked through Airbnb. Kuata Island is located in the lower Yasawa Islands, where you can learn more about getting there in our Complete Guide to the Yasawa Islands. Located 100km (60m) south of the mainland, Kadavu Island and its surrounding islands are another great base for diving and snorkelling with sharks in Fiji. The reason is thanks to the Great Astrolabe Reef, the world’s fourth largest barrier reef! While scuba diving and snorkelling trips are not dedicated to finding sharks, it’s highly likely that you will still see a few reef sharks swimming in this hugely diverse ecosystem. The best months for seeing sharks near Kadavu is between July and August, however, they are often seen outside of these months too. Kadavu is also one of the very few places in Fiji where you can dive with giant manta rays. Learn more in our Complete Guide to Kadavu. Nearby Savusavu is the incredible Namena Marine Reserve providing a safe haven for fish, turtles, humpback whales, soft coral and, of course, sharks! 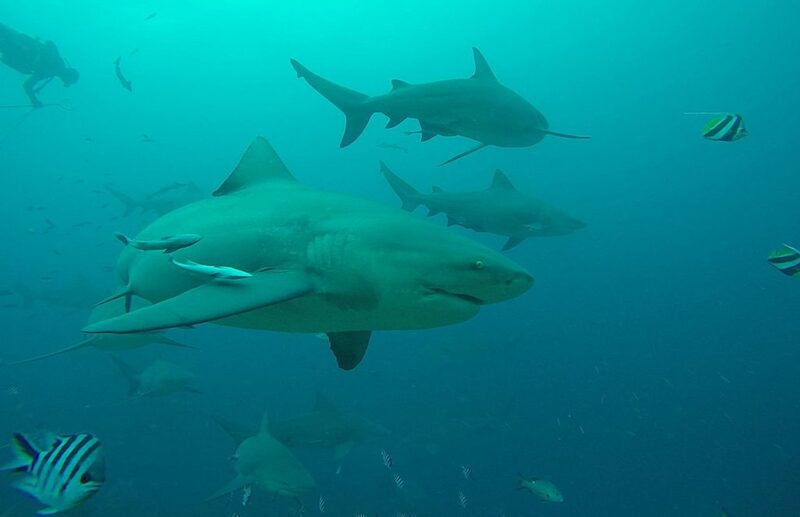 Dive operators based in Savusavu on Fiji’s second largest island Vanua Levu can take you to see Grey Reef Sharks, Whitetip Reef Sharks, Tiger Sharks and Hammerhead Sharks in several dive sites – one of the most famous being Shark Alley. Find out more about this area in our Complete Guide to Vanua Levu. Situated between Vanua Levu and Taveuni, the Somosomo Strait is one of the top diving locations in Fiji. The narrow passage between the two large islands is ideal for coral growth, in turn attracting a wide range of marine species. Most of the species found in Fiji can be found in the waters of the Somosomo Strait, which means those divers hoping to see sharks are in with a very good chance! 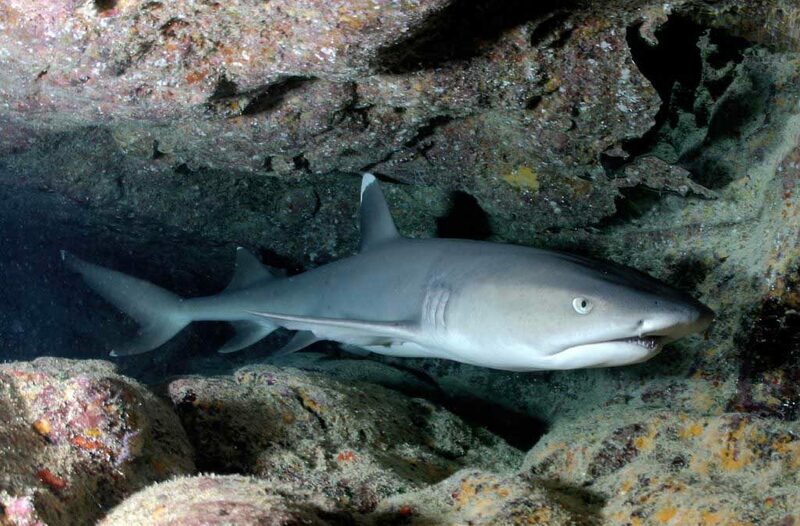 Reef Sharks will be the most common sight, while Leopard Sharks and Hammerhead Sharks are also likely to be seen. Find out more about this beautiful corner of Fiji in our Complete Guide to Taveuni. Where to Party in Fiji. Ok, let’s get one thing straight: Fiji ain’t no Ibiza! 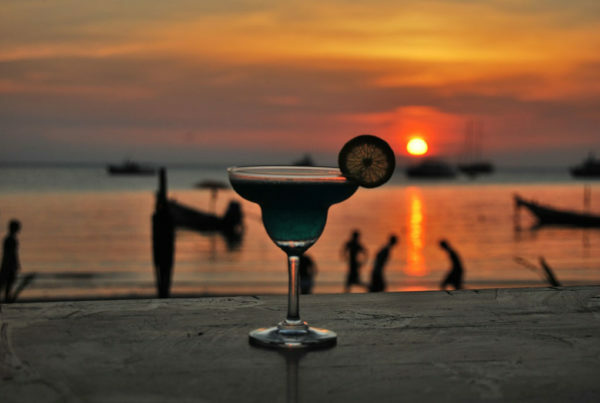 But it wouldn’t be fair to say Fiji has no nightlife whatsoever! You just need to know where to look.